"I want to clarify many of the questions surrounding the Palestinian players playing abroad and what is being done to keep track of them.... We reached out to many players- like Nazmi Albadawi- in order to get them to join us for the upcoming campaigns. In October, before my last game as national team manager, we successfully filed a nationality switch for Hosam Aiesh and he would have played against Maldives but an injury prevented him from doing so." The post linked to a video from MBC's Sada Al-Melaeb who in an interview confirmed that he is all set and ready to play for Palestine. In a more intriguing piece of news, Barakat went on to confirm that former German youth international Dani Schahin had also filed a national team switch. Dani Schahin burst onto the scene in the 2012/13 season with Fortuna Düsseldorf. As a 23 year old, in his first Bundesliga season, scoring twice on his debut en route to an eight goal, two assist output on a bad team. He spent the next two seasons in Bundesliga purgatory riding the bench with Mainz and Freiburg before dropping down a division with FSV Frankfurt in the 2015/16 season. His five goals in 25 league matches was the start of a small resurrection of sorts. The Ukraine born forward had his best season as a professional this year. His 10 Eredivisie goals and five assists- represent the best league totals of his career. 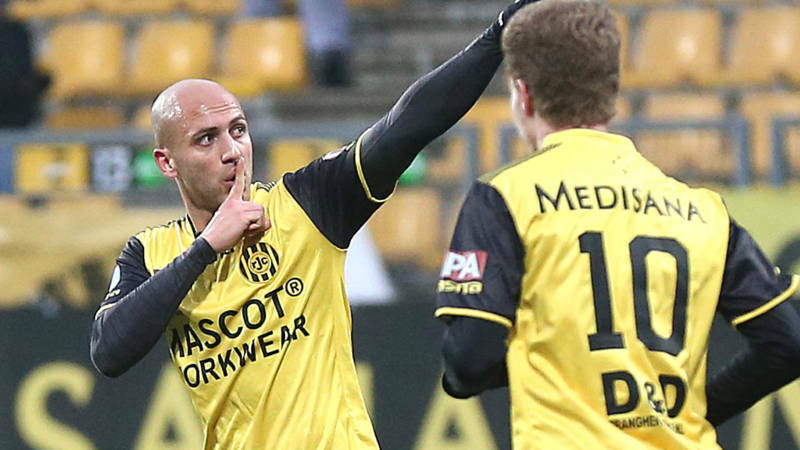 With Roda JC suffering relegation this season, Schahin is likely to seek greener pastures. On the national team front Schahin joins a crowded list of strikers vying to make the 2019 Asian Cup squad. In his time as Palestine manager, Abdel Nasser Barakat recruited Yashir Pinto Islame, Saleh Chiahdeh, and Rodrigo Gattas to the national team. He also handed debuts to Matías Jadue, Mahmoud Wadi, Ahmad Abu Nahyeh, and Mohammed Balah.